Peter Bone MP has branded Theresa May's Brexit deal a "phallacy", claiming it will not "end Brexit". Appearing on the breakfast show, the Conservative MP said what the Prime Minister was "peddling" was "not leaving the EU" at all. 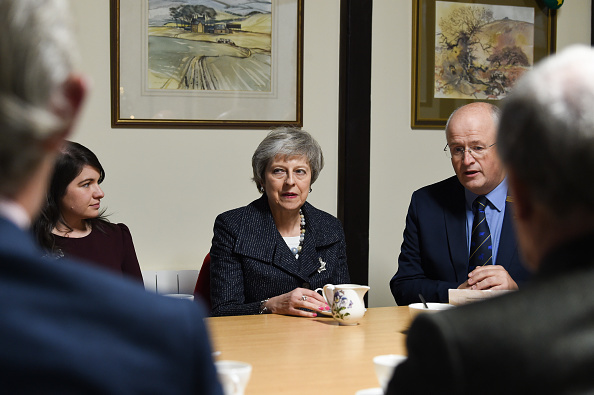 "All this deal does is say we're going to hand over £39 billion, and then we are going to talk and argue goodness knows how many years about our future relationship. It in fact does the opposite of what people think, it does not end Brexit," he told Julia Hartley-Brewer. "Clearly what the PM is peddling is not leaving the EU." Mr Bone told Julia that although the public were "bored" of Brexit, they did not want a deal that was going to lead to "year and years of wrangling" with the EU. "People are bored about it, that's true. But they don't want a Brexit that's going to lead us to years and years of wrangling with the EU about our future relationship. "That isn't settling anything. It's a phallacy at the moment what is being peddled." Earlier in November, Mr Bone turned on Theresa May during Prime Minister's Questions, suggesting she would lose the support of "many Conservative MPs" with her Brexit deal, and that it did not deliver "the Brexit people voted for". The Prime Minister insisted her deal did "deliver on the vote of the British people". Ms May is currently embarking on a 'Brexit tour' across the UK in an effort to drum up support from the public for her Brexit deal. A vote on the deal will take place in the House of Commons on December 11. "The only way we're actually going to sort Brexit out now and get it over the line and finished with is coming out on a clean global Brexit, which would mean we will trade in future on WTO rules, which of course we trade with most of the world on," Mr Bone said.